Steadfast was founded in 1998 by Karl Zimmerman, a progressive 14-year-old who had a passion for internet technology. Originally started as a hobby, Karl began working with companies to help them with their data hosting and security needs. Through these relationships, Karl learned there was a frustrating gap with many hosting companies – the lack of immediate and reliable service. This information fueled Karl’s determination to evolve his hobby into “Steadfast”, a comprehensive IT services company that does not waver on prompt service, reliable and superior infrastructure for thousands of clients and partners. 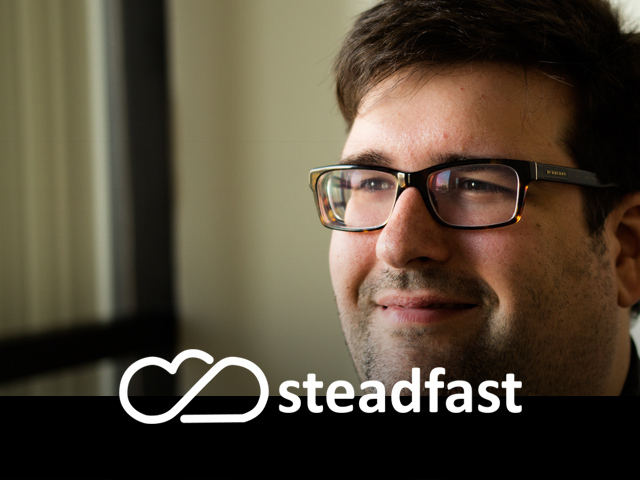 Hear the story of Steadfast from founder and CEO, Karl Zimmerman. For more than 20 Years, Steadfast has been introducing new and innovate services into our portfolio to help our small-to-medium enterprise (SME) and large enterprise customers get the "right" managed IT services they need to compete effectively and grow their business.